When will I get married is a most common question of marriage prediction that every woman wants to know and almost every woman would like to be married. Likewise, if she is in some love or sexual relationship with a man, she wants to know what she can expect from him and whether she will become engaged? Of course, that's what I can interpret from an astrological natal chart. I can describe the marital partner and the marriage also. The successful combination of married life in astrology is certainly through the detailed interpretation of 24 astrological charts and every woman receives from me a lot of answers where her happiness is and where her misfortune is, who to marry and who not to marry. Using a natal chart I can clearly point out if there is a strong or weak emotional attraction, compassion and the way in which the feelings impact on decision-making and behaviour. I explain to every woman exactly what her love partner is looking for from her. How to form an understanding and stability and harmony in the relationship, and which are the difficulties in the relationship. Does a man react aggressively and irritably in expressing feelings and sexuality and whether it is the current situation or not and when it will pass. What a woman's behavior will produce too much criticism by a man. Every solution exists for a specific situation that has led to an insecurity, nervousness and hypersensitivity. Simply, it does occur in difficult times when a man does not support or understand a woman or just throwing a guilty conscience. I can exactly determine the true nature of your man in the birth chart. I precisely point out if the man is heady and flirting with no real feelings. Which period bring disappointment in love, and which period bring prosperity in love life and solving problems. Will there be age difference that will be very useful and enjoyable for the relationship and marriage between a man and a woman if it is a man who is considerably older than a woman or if the opposite is the case of a young man. In a natal chart I can predict that a woman will be married with an economically stable partner or a relationship with a widow, whether she will have a first marriage or a second marriage. Whether the pair will be very relaxed or extravagant and with conflicts in negative situations. Will there be a number of betrayal (infidelity) by a man. Will there be problems in marriage that will end with divorce (peaceful) or violent separation. 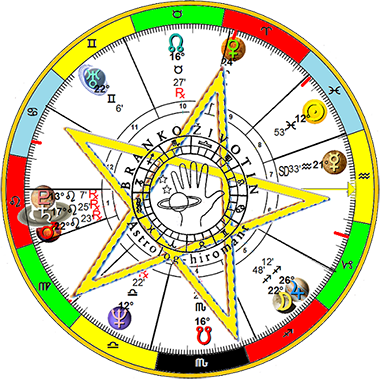 The woman's natal chart shows her husband's death, accident, operation, or illness. Does a woman has a predetermined difficulty and restriction in a marriage or relationship. Will her man be dispassionate, greedy, selfish, tough, hardhearted. 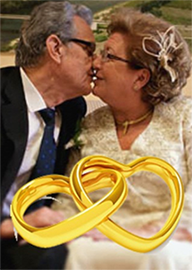 Will marriage be successful in the future with combinations of much greater understanding than pre-marriage and with strong attraction, sexuality and magnetism, which gives a long-lasting marriage. The seventh astrological house is one of the most important areas of marriage but it should not be forgotten that the 7th house shows infatuation, short-lived passion, marriage based on money and gifts and the person himself needs a lot of effort to maintain such a marriage because such marriages lead to marriage breakdown if certain steps are not taken. The seventh house talks about free will, what a man has chosen by his will but not what the Lord wrote to him. If a person has a malefic planet in the 7th house that indicates unhappiness, bad marriage, stress, marital problems. This does not mean the problems will be in that sense. She just has to avoid a man no matter how much she likes him if the man is under the influence of incompatible constellations, compared to the positions in her natal chart and the planets that show a bad and unhappy marriage. Jupiter in the 7th House does not indicate happy marriage and life abroad but good partnering opportunities in the business. The ninth house symbolizes marriage. Jupiter - the planet ruler of the constellation Ophiuchus symbolizes the person who officiates at a wedding ceremony. It is a marriage officiant or solemniser. The ninth house speaks of marriage in a religious institution, and the marriage with God's blessing symbolized by the constellation Ophiuchus must be observed with a certain declination in relation to the constellation of Ophiuchus.